Andover is a delightful town set in the Hampshire countryside. The Nursing Home is situated in walking distance to the town centre & railway station. 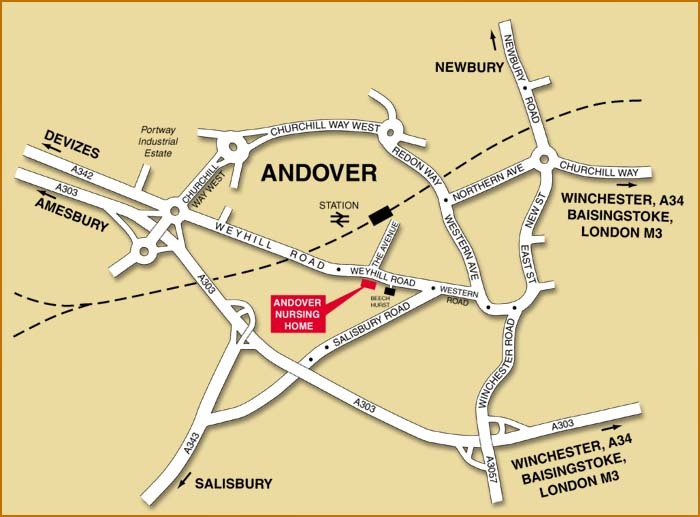 Weyhill Road leads directly to the A303 Andover by-pass, making access easy. We also have a large car park.